Right after the wedding, we decided not to fly back so we can enjoy our time with our friends and families - most of whom we don't see very often than we would have wanted to. We figured we can still have our honeymoon later (we still have the rest of our lives for that matter, haha!) because we found it important to bond with family and friends whom we have missed so much. But even time flew by so fast while we were having our bonding-bonding-bonding in Bohol and Cebu and then before we knew it, it was now time for our mini-honeymoon! J and I are both beach lovers (though I think I'm more of the beachbum than he is), maybe because we've grown up with the best beaches within grasp - I grew up with Panglao within arm's reach and J grew up near Siargao island. So it's not a surprise that we wanted to spend our honeymoon in the beach - just to chill, relax, swim, tour around, eat, eat, eat and then back to chill and relax. I rationalized that I needed a break after the wedding and the planning and the mini-stresses that came along with it. Plus, because we were running out of leave credits, it had to be a short weekend trip. We then started to chose between Phuket and Bali - but then the weather chose for us. Apparently, Phuket is ideal to visit on January when it is rainy in Bali. So sunny Phuket it is!!! Much have been said about the beauty of the beaches of Phuket. But it's definitely something that you need to see and visit yourself to find out what the fuss is all about. A visit to Phuket won't be complete without the Phi Phi tour. To be honest, this is mainly what the fuss is all about and I was excited to see what the Phi Phi islands had in store for us. 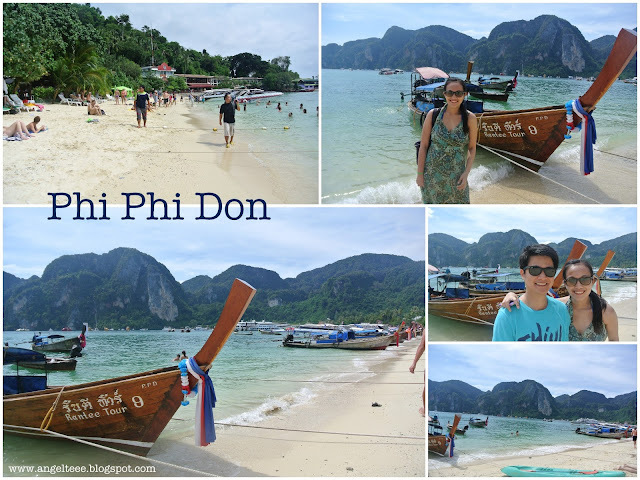 For us, it was a speedboat day-tour hopping on and off and visiting one-by-one the Phi Phi islands. 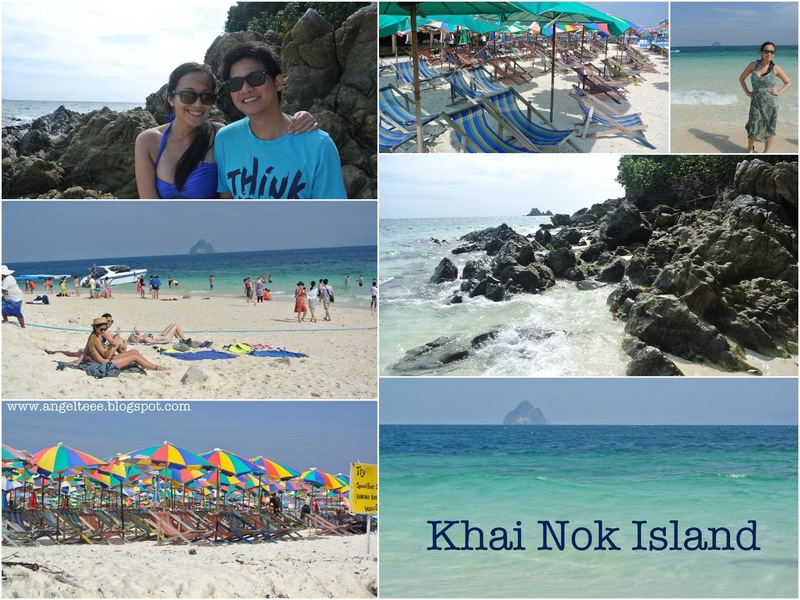 Our itinerary was: Khai Nok Island, Camel Rock (Nui Bay), lunch at Phi Phi Don, quick peek at Viking Cave, snorkelling at Pileh Cove, pass by Loh Samah Bay and Monkey Beach, and then visit Maya Bay. Over-all the tour was all about sheer, looming cliffs, beautiful white-sand beaches, snorkelling with schools of fishes, majestic coves and caves, and idyllic, picturesque landscapes. Khai Nok island is a beautiful, picturesque island with snow-white sandy beach surrounded with crystal-clear water just perfect for swimming and relaxing. Phi Phi Don is the largest of the Phi Phi islands. Once a serene paradise, it is now filled with restaurants and shops. Then Maya Bay. 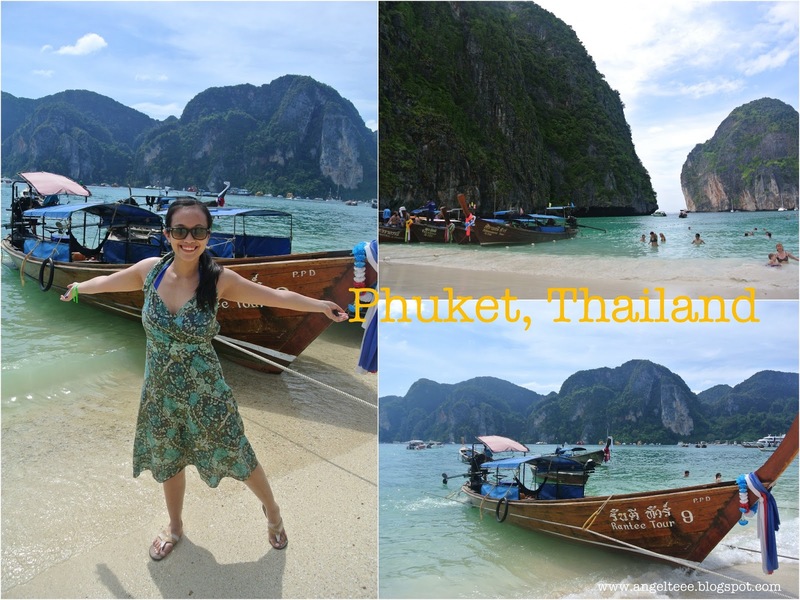 The ever famous and iconic Maya Bay - probably the only structure that says "Phuket" loud and clear. 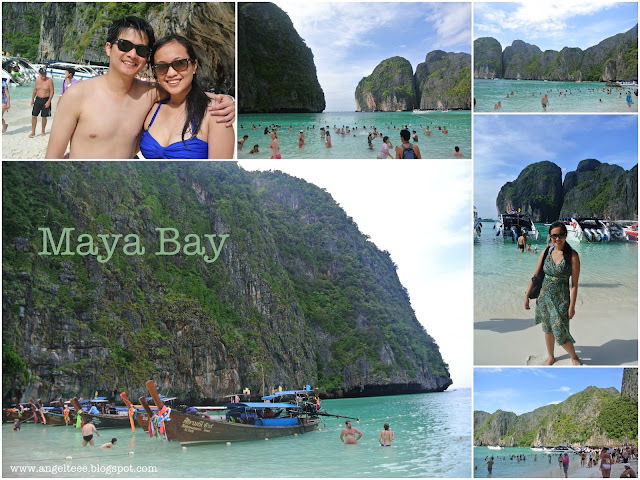 The Maya Bay was made famous by the movie "The Beach" so it's not a surprise that it's one of the must go-to places in Phuket and tourists go here by droves. As our tour-guide says, "Maya Bay, the place where everybody wants to be at." Phuket is infamous for its night-life. Pubs, bars and what-have-you shows fill Phuket. 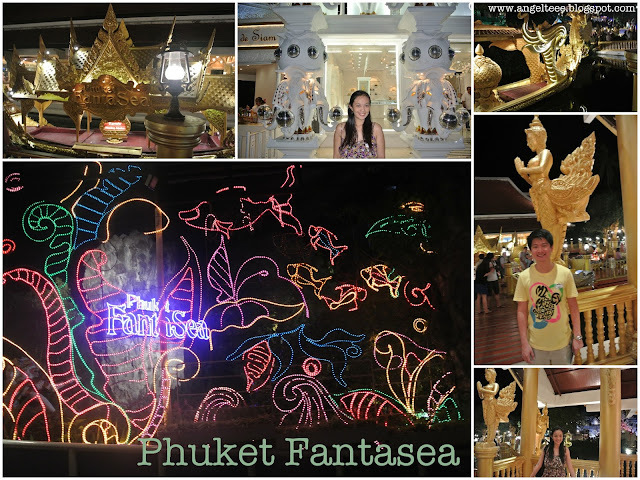 We went to one of Phuket's must go-to shows: the Phuket Fantasea. Phuket Fantasea is a huge and grand stage performance of acrobats, trapeze artists, dancers, actors and a whole lot of elephants. Located in Kamala beach, Phuket Fantasea is set in a huge theme park which features carnival-like games, shopping opportunities and a selection of great food (from buffet restaurants to ala-carte restaurants). 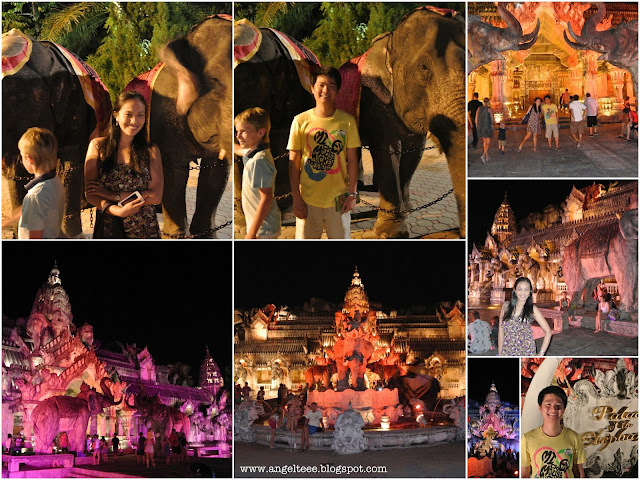 The show features a glimpse of Thailand's culture with an exotic storyline. It is said that you've never been to Phuket until you watch the show. We watched the show on our last night in Phuket and I could say for a first-time visit to Phuket, this one's really a must. I cannot somehow describe the awesome experience with the trained elephants and other animals (goats, chicken, doves) and a wonderful pageantry of colors and talent as the show went on.